Looking for the perfect inflatable for the younger crowd? 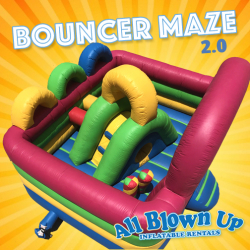 The Bouncer Maze 2.0 is the perfect choice! Complete with obstacles and a slide, the Bouncer Maze 2.0 will take your party from wow to WHOAA!! !